According to the Centers for Disease Control and Prevention, studies suggest that the number of people diagnosed with Lyme disease each year in the United States is around 300,000. If you’re bitten and experience unexplained joint pain and fatigue, schedule an evaluation at Advanced Infectious Disease Medical in Hoboken, New Jersey. Avisheh Forouzesh, MD, specializes in diagnosing and treating Lyme disease. Her office is well-equipped to remove ticks, test for Lyme disease, and treat existing infections. Learn more about treatment options for Lyme disease by calling the Hoboken office or using the online booking feature. Lyme disease is a bacterial infection spread through the bite of infected deer ticks ( Ixodes Scapularis). This condition can cause a number of health complications. You may be at increased risk of developing Lyme disease if you spend a lot of time outside, in the wooded or grassy areas where ticks live. Symptoms of Lyme disease have a wide range and depend on how far the disease progresses. Symptoms can occur anywhere from three to thirty days post infected tick bite. Early symptoms of Lyme disease include a rash that develops on the area surrounding a tick bite. This rash can spread over the course of a few days and may have a noticeable bullseye pattern in its center. In some cases, a rash never develops. Not all tick bites carry infection. If you think you’re experiencing some of the symptoms of Lyme disease, schedule a consultation at Advanced Infectious Disease Medical. 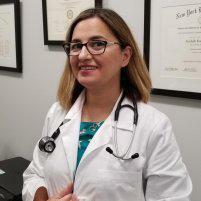 Dr. Forouzesh reviews your symptoms, medical history, travel history, along with detailed physical exams to determine your possible exposure to Lyme disease. If necessary, she can order a two-tiered blood test to ensure an accurate diagnosis. 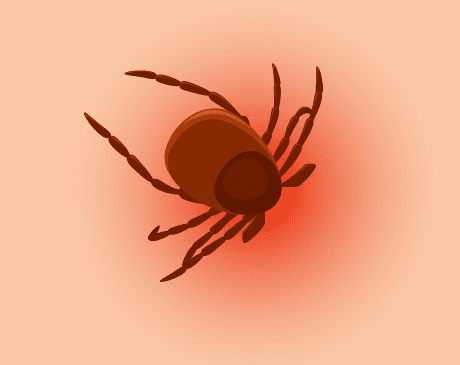 If you’re able to save the tick, it can be helpful in your diagnosis, so bring it with you to your appointment. If you can’t properly remove a tick that burrows into your skin, schedule a visit with Dr. Forouzesh immediately for assistance. What treatment options are available for Lyme disease? In many cases, you can recover from Lyme disease if treatment occurs in a timely manner. If diagnosed with early Lyme disease, Dr. Forouzesh can prescribe oral antibiotics to fight the infection, which usually leads to a complete recovery. If Lyme disease is already affecting your nervous system or joints, Dr. Forouzesh will determine if intravenous antibiotics are needed to treat the infection. If possible exposure to Lyme disease is suspected, Dr. Forouzesh can evaluate you and provide information and advice on what treatment will be needed, as well as how to avoid future exposure to Lyme disease and tick bites. Find out more about Lyme disease testing and prevention by calling the Hoboken office directly or booking an appointment online.